Will Schaefer, a New Yorker transplanted from the Midwest, earns his living crafting press releases for a shady corporation. One night a week he hosts a writers’ group in his apartment, to which the members—four women and two men besides himself—bring their stories and all the intense emotions that inspired them. Will is cast in the role of amateur therapist mediating among unreliable narrators, even as he falls in love with the elusive Sara. 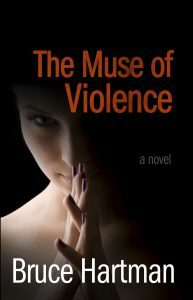 When one of the other women is brutally murdered, the group begins to turn on itself. And when more deaths follow, those who remain are left to face the suspicion—and finally the terrifying certainty—that one of them is a psychopathic killer. Is a sequel to Agatha Christie’s And Then There Were None (Ten Little Indians) being played out in their lives? This book is bargain priced from 11/01/2016 until 11/08/2016.